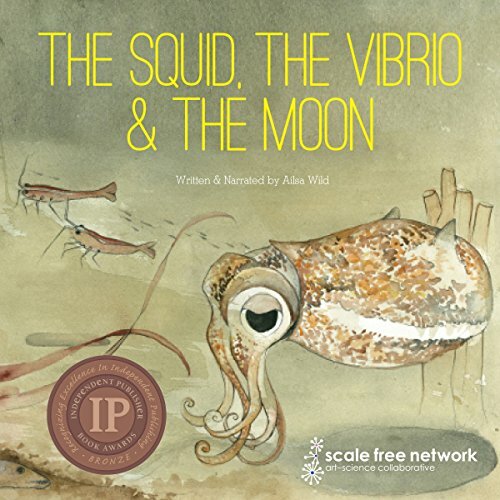 Showing results by author "Ailsa Wild"
The Squid, the Vibrio and the Moon is about a symbiotic relationship. It tells the story of the bobtail squid and the bacteria that help it glow in the moonlight. First we meet Ali, an intrepid Vibrio fischeri bacterium determined to reach safety. Then we meet Sepio, a baby bobtail squid who is still unable to glow. His dark shape is too obvious in the moonlit water and all kinds of predators lurk nearby.